We recently welcomed New York based grooming brand Empire Apothecary to our range here at Urban Industry, specialising in quality hair and skin care products for the modern man. 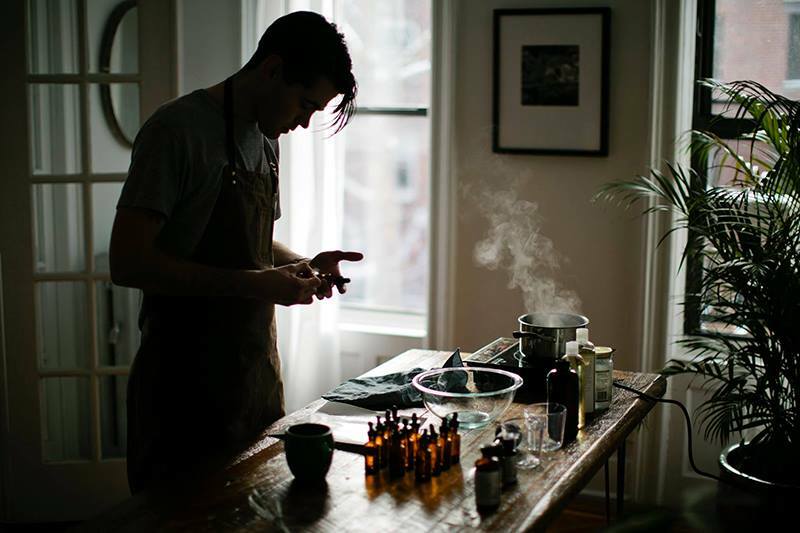 Each product is hand made at the brands studio in Brooklyn, spanning from male grooming pieces to home goods such as candles, all of which are constructed with quality in mind, from the process to the ingredients included. Empire Apothecary offers a refreshing approach on the male grooming brand and founder Zac Mallard is extremely passionate about the products and direction of the brand, and his energy is reflected in the quality of it’s offerings. 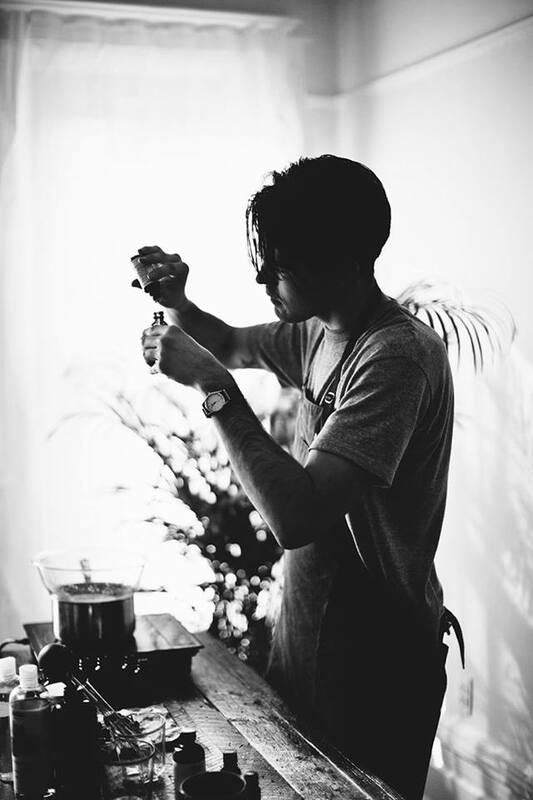 We had a chat with Zac about the origins of the brand, the process behind the products and his future plans for Empire Apothecary…. Hey Zac, how’s it going? Could you introduce yourself and tell us a bit about what you do? Hello. My name is Zachary Mallard. I am a visual artist and founder of Empire Apothecary. I live in Greenpoint, Brooklyn, I am currently 25 years old. As far as what I do; I spend most of my energy working on the Empire Apothecary project designing and producing hand made grooming products as well as hand poured candles. When I’m not working on that I am riding my bike around the neighborhood, getting coffee, and enjoying myself to the best of my ability in various parts of NYC. You’re originally from South Carolina but the brand was founded out of New York. How has moving to the city influenced you and the brand? The setting of New York is incomparable. There is an energy that you live within, and it has this very visceral reality. That feeling is the base of the aesthetic of the brand. The brand is continually adrift among the accumulation of ethos and styles I admire, and the how the city presents them to me. What’s the story behind the name Empire Apothecary? The “Empire” is marker of our birthplace, The Empire State, and “Apothecary” is what we do. Rather straightforward I’d say. The men’s grooming and candle industry are highly competitive, with a lot of choice in the market. What makes Empire Apothecary stand out? Our products are simple. 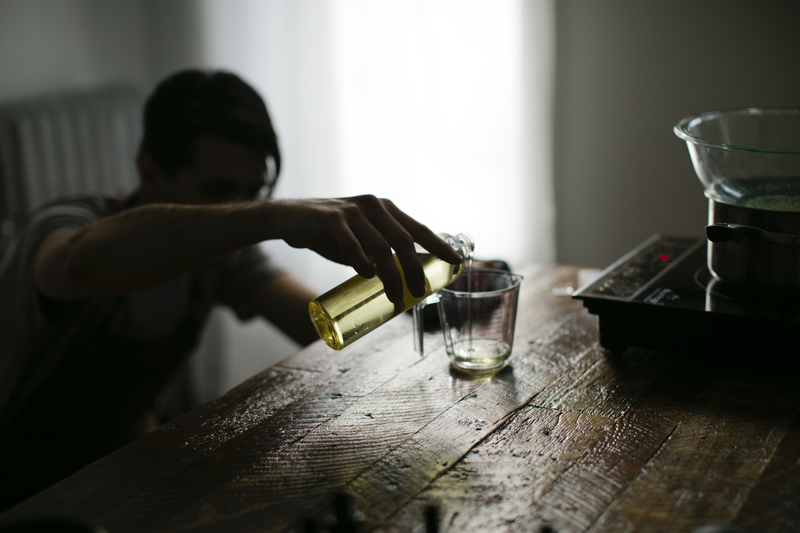 All Empire Apothecary products are hand made from all natural and organic oils and plant matter in our production space in Greenpoint, Brooklyn. Our candles are made to fill rooms, without being overpowering, and come in (what I feel) are some interesting and accessible fragrances. The brand has a unique aesthetic. What inspires the overall look of Empire Apothecary? I was reading a old Metronome magazine.. circa 1957 or 1960 or something, when big band music was really in the shake. I really responded to the ads in that magazine, and took a lot of quess from those. Artistically, I admire the work of the Lef Group and the Russian Constructivists, Bauhaus design, the more contemporary Danish and Swedish design styles… Really anything that explores and implements using geometric hierarchies and the strength of the line as an object. Do you still produce the products in your home? What does a regular day working on Empire Apothecary consist of? Long gone are those days! I did start the project out of my kitchen when I lived on East 11th street about a year and a half ago. Since then I have relocated to Greenpoint, and have a separate production space from where I live. A normal day is waking up around 8:00, heading down to Blue Bottle and grabbing a coffee with a friend. Once that’s crossed off I roll to the production space around 9:00 or 10:00 to start cooking whatever is needed for the orders on deck. I handle shipping out at some point before the end of the day, and usually find time to go grab a hummus at my hangout down the block. I usually cook dinner at my house and spend my evening drawing or reading, or occasionally tom-catting around Williamsburg, Greenpoint, or the East Village. It’s a good life. Did you teach yourself the chemistry of making the product? Is there a lot to the timing, measurements and types of ingredients you put in? I did in fact teach myself how to make the products. Or moreover, I spent a lot of time experimenting with the materials and gaining some understanding of how they worked, and read as much as I could about soap making, natural remedies, and the gamut. I would read the ingredient lists of products I liked, and took from them the ingredients I knew were real, non-laboratory produced ingredients, and left the other, what I’ll call “synthetic” ingredients out. The trick is replacing those voids with other real, earth based things, and creating a product that is sound in idea and practice. Timing is huge. There is a learning curve to this, just like anything. I will say the most important part is preparation, followed closely by paying attention. Where do you find inspiration for the flavourings and smells of the product? The line developed around a character that I walked past in a dream. He was a man of around 40 years old, and he rode up on a black Moto-Guzzi. I was standing in front of an orange cart, as in a cart of oranges, in some dusty street market in India. The place was brown and orange and red and hot and dry. This guy parks his bike, walks to the cart, grabs an orange and hands the older woman behind the cart some coins. He looked at me and said “Everybody loves oranges”. So I made the Bombay smell like oranges and some eastern spices that keep it a bit more visceral. It’s a lot of these kinds of things that influence the scents. I want people to like them, I want them to be unique but accessible, but they definitely function as a way for me to express myself through a vey specific creative outlet. Is it important for you to keep ingredients natural? Are you looking to move into any other product market? Clothing perhaps? I can tell you that the Empire brand is constantly exploring ways to be expressed through objects or ideas that are rooted in providing quality. We are in the quality market, so possibilities are vast. What’s next for Empire Apothecary? I heard from an old gangster once that the ones who made it spoke the least. You can shop our full Empire Apothecary range HERE.